I love your site. I\'ve been reading ever since I found it via the Travvies. I thought I\'d let you know that I made a picture book from my travels in Asia last summer. It\'s available on my site. I\'m still learning, so the quality is less than your stuff, but I thought you might be interested nonetheless. Kilimanjaro is so beautiful covered in snow. I feel privileged that I have a chance to see the glaciers at the summit before they disappear forever. 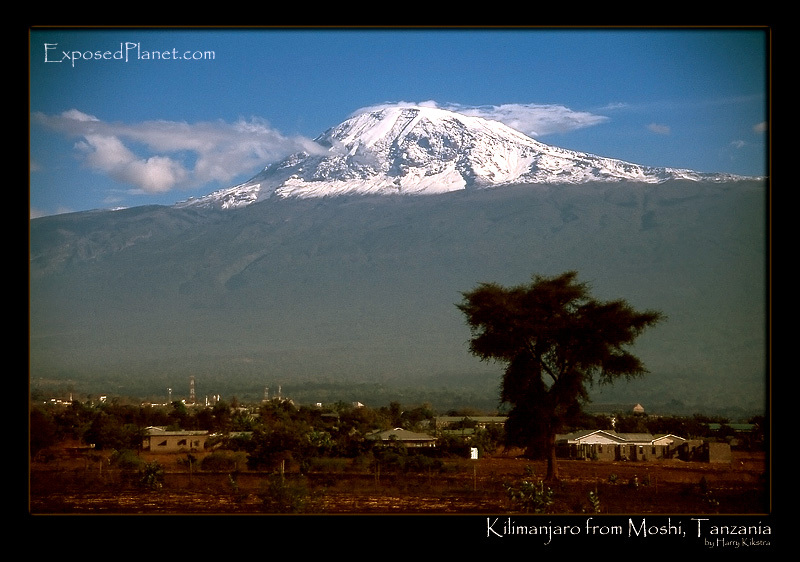 The story behind "Kilimanjaro from Moshi after snow"
Mighty Kilimanjaro, the largest freestanding mountain in the world. After the fresh snow it looked like Kili was ok as always, but only the thin white lines are really leftovers from the glaciers. Shot on Provia slide with Eos3 & 300mm, scanned later.